Retrospect backup archive tape software was common on PC's and Apple Mac's - particularly OS9. However with the cheapness of hard drives and optical media, many older tape drives are no longer in use or companies find themselves without the expertise to operate them. This is where we can assist by Transferring tapes off these old tapes onto CDD DVD or hard disk drives for use in PC's or Macintosh computers. If you need a Mac Tape File Transfer service, then contact our friendly company. Retrospect backup archive tape software was common on PC's and Apple Mac's - particularly OS9. However with the cheapness of hard drives and optical media, many older tape drives are no longer in use or companies find themselves without the expertise to operate them. 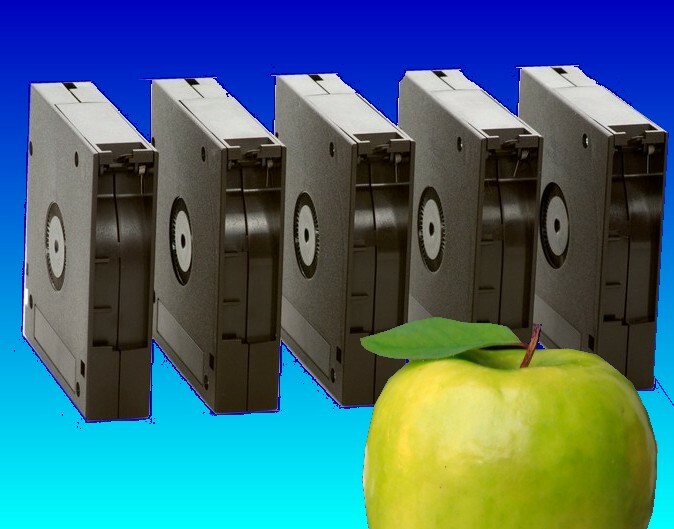 This is where we can assist by Transferring tapes off these old tapes onto CDD DVD or hard disk drives for use in PC's or Macintosh computers..